QUESTION: Do you support Trump’s Wall? They say Trump’s wall is a waste of money and won’t work. Do you disagree? ANSWER: To me, it is really irrelevant. It is far more important to the people living there on the border who are tired of all the crime and nonsense lacking security. There are also many hard-working people trying to get in for a better life. While the press and Democrats bash Trump and call him a racist over this issue even when Mexican is no more a race than being an American, Obama deported more people than any other President. Nobody called Obama a racist. As an employer, you are REQUIRED to ensure the person you hire is LEGAL. Verification of employment (VOE) requests on current or former employees can come to an employer from government agencies. The employers cannot lie on such a request from the government or suffer up to even imprisonment for false answers. The law requiring employers to identify an employee is not something Trump created. They were passed back in 1986. I understand all the yelling about trying to prevent illegal aliens as being racist is political labeling for surely anyone who believes that is really stupid for Mexican is not a race. Nevertheless, there are a host of laws that are impacted by the attempt to work illegally. Even to get a decent apartment, they run a background check on you and may deny you for any criminal violations or lacking legal status and a job. Illegal aliens are not able to rent such places leaving them at the highly questionable level of living typically in very poor areas that operate in cash. The call to eliminate cash is also a covert backdoor way to get rid of illegal aliens nobody will say publicly. Eliminate cash and you eliminate their ability to work under the table. Indeed, there are a host of laws in conflict over this very issue of illegal aliens. It is even a crime under 8 U.S. Code § 1324 to bring in and harbor certain aliens. Employers can go to jail for hiring an illegal alien and you can go to jail for helping them to get into the country. Over the centuries, there have been some walls were constructed to keep people in like a prison. 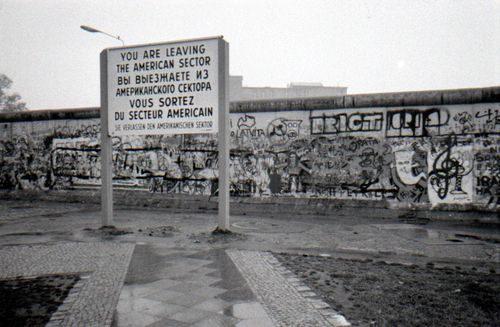 That was the case with the Iron Curtain and the Berlin Wall. 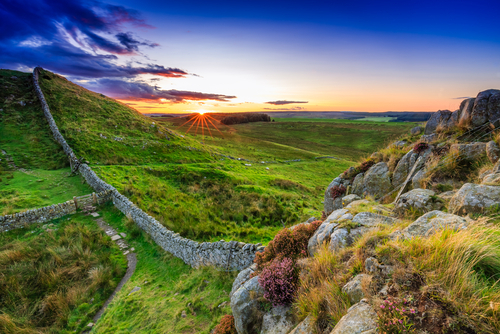 In the case of the Roman Wall in Britain, known as Hadrian’s Wall, the Picts or Scots were constantly raiding the northern Roman communities. Instead of trying to conquer the Picts, they build a wall to keep them out. It was the state Chu who first constructed the Chinese Wall. It was during the Qin Dynasty that China became one empire. 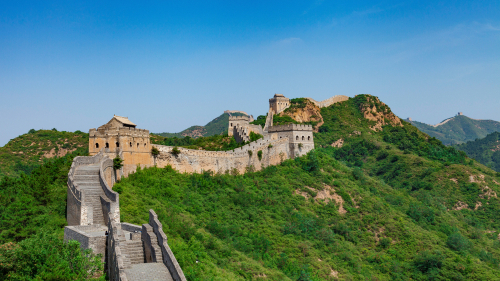 To defend off the invasions from northern invaders, Emperor Qin Shi Huang had all the walls joined up. Thus, the Great Wall came into being. The oldest wall to keep invaders out is known as the Great Wall of Gorgan located near modern Gorgan in northeastern Iran, at the southeastern corner of the Caspian Sea. The wall is believed to have protected the Sassanian Empire to the south from the peoples to the north, known as the White Huns. It was the most ambitious and sophisticated frontier walls ever constructed in history. It effectively kept the invasions of Huns from overrunning Sassanian or Persian Empire. It was 121 miles in length (195km) with over 30 fortresses spaced at intervals of between 6 and 31 miles apart. It was only surpassed only by the Great Wall of China as the longest defensive wall in existence against the very same people. Many believed that the Great Wall of Gorgan was constructed by Alexander the Great. It was known for centuries as the Gates of Alexander which were a legendary barrier that was constructed in the Caucasus to keep the uncivilized barbarians of the north from invading the land to the south. During medieval literature, the Gates of Alexander were believed to be associated with the Biblical tribes of Gog and Magog from about the 6th century onward. The question of will such a wall work? It will unquestionably reduce the traffic. Historically, such walls prevent massive invasions. They will not stop someone from tunneling under or circumventing them by sea or air. We have invisible walls between all countries. It is called – Papers Please! Trump’s biggest problem is that he offends may with some of the things he says. In all fairness, the Democrats will oppose whatever he wants because politics has degenerated to such an extent that it is no longer about what is best for the country, it just opposes the opposition at all costs. This is becoming manifest on both sides. I am sure the Deep State would love it. It may keep Mexicans out, but it will also keep Americans in. Make everything legal once again except Heroin and watch the drug trade end just as ending prohibition undermined the Mafia. 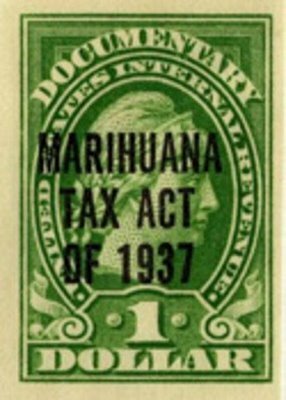 They use to tax marihuana until nearly 1970 as well as cocaine. Such laws will never stop people from using them and they only create drug wars and violence.